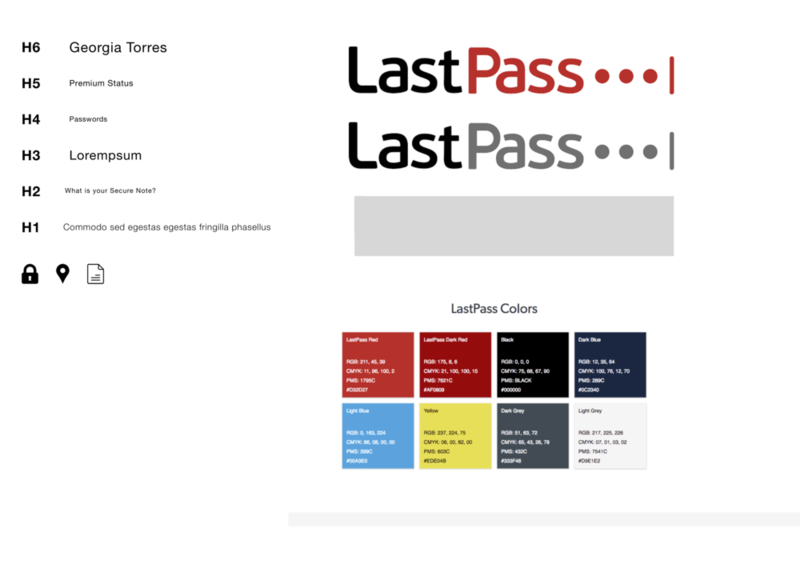 Identifying 2 UX pain points of LastPass. Mind mapped solutions and sketched ideas. Wire-framed an alternative design as to how I would improve identified user pain points. Provided a medium-fidelity prototype in Invision Prototype of an alternative design. User is experienced with the Google ecosystem however has been hacked in the past and feels using a password manager would provide a more secure experience. As for tech savviness, assume mid 30-40s of age, owns a smartphone, basic tasks, nothing too tech intense. After looking at LastPass, I found 2 key areas I felt could use a revised UX and improved UI. The first being the absence of ability to control, edit, personalize your profile/account within the app it self. Attempting to do any type of edit beyond a backup email kicks you out and onto the LastPass website, giving a huge disconnect. Additionally, it has little to no up-selling within the app. The second is a combination of how many steps it takes to upload photos/data and view them. Too much time is wasted micromanaging it when it should be able to auto-detect and adjust as needed.